BELLINGHAM, SYDNEY ROBERT, merchant, jp, militia officer, lawyer, editor, politician, author, and farmer; b. 2 Aug. 1808 in Castlebellingham (Republic of Ireland), fourth son of Sir Allan Bellingham and Elizabeth Walls; d. there 9 March 1900. 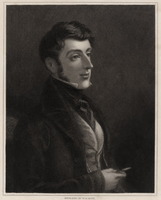 Sydney Robert Bellingham was born into a family of the Protestant Ascendancy but of modest means. His father being unable to support him, at age 15 he immigrated alone to Lower Canada in the spring of 1824 to seek his fortune. During the next three years he travelled widely in Upper Canada. 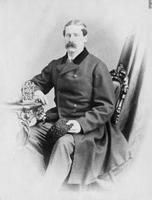 In 1827 he accepted employment with James Hamilton, a Quebec timber merchant, and opened an office for him in Montreal. Four years later he formed an import-export partnership in Montreal with James Wallis. On 28 Oct. 1831, at Quebec, he married Arabella Holmes, daughter of Dr William Holmes* and widow of Dr William Larue. Bellingham continued in business for a number of years but seems not to have been successful. 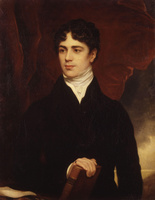 Aided by his wife’s money, Bellingham entered Lower Canadian politics in the highly charged atmosphere of the elections of 1834, seeking the seat for Montreal East in the House of Assembly; he was defeated by a candidate of the Patriote party, Joseph Roy*. In December 1835 he was elected to the general committee of the Loyal and Constitutional Association, which had been formed by another defeated candidate, William Walker*, among others, to oppose the reforms sought by the Patriote party under Louis-Joseph Papineau*. By that time Bellingham had become a partisan of the moderate policies of Governor Lord Gosford [Acheson*], a former schoolfellow of his father. 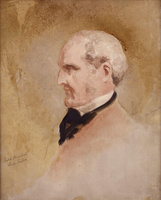 On 13 April 1837 Gosford appointed Bellingham a justice of the peace. That November, as civil magistrate, he participated at considerable personal risk in abortive civil-military expeditions to arrest several Patriote leaders, including Pierre-Paul Démaray* and Bonaventure Viger*. These missions occurred at the outbreak of open rebellion. 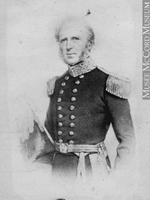 He was then sent to Fort Chambly by Attorney General Charles Richard Ogden*, with dispatches from the commander-in-chief, Sir John Colborne*, ordering Lieutenant-Colonel George Augustus Wetherall* to attack a Patriote armed camp at Saint-Charles-sur-Richelieu. Bellingham accompanied Wetherall’s troops. When, during the evening of 23 November, Wetherall learned the astounding news of the defeat at Saint-Denis, on the Richelieu, of Lieutenant-Colonel Charles Stephen Gore*, Bellingham and trooper John Lovell volunteered to return to Fort Chambly under cover of darkness and bring reinforcements to Wetherall; they succeeded in hazardous circumstances. After the battle of Saint-Charles-sur-Richelieu, Wetherall entrusted Bellingham, who was acting as his aide-de-camp, with dispatches informing Colborne of the British victory. In December, as captain at the head of a detachment of Royal Montreal Cavalry, Bellingham reconnoitred loyalist and Patriote elements in the region of Lac des Deux Montagnes prior to the British victory at Saint-Eustache on the 14th. He protected farmers at nearby Saint-Henri (Montreal) from being plundered, and then, under orders, reluctantly participated in the burning of Patriote residences. Bellingham felt much sympathy for loyal or neutral French Canadian farmers. After his wife inherited 15,000 acres of seigneurial lands in Buckland Township and Bellechasse County, he went there in 1839 to collect rents from the 180 tenants. He claimed not to be greedy, recognizing that it was the farmers who, by their labour, “had imparted the value to the property.” To secure his tenants’ loyalty, he pretended to be Catholic, especially as he admired their religious faith, morality, honesty, and diligence. During the 50 years he lived in Canada, he later wrote, “I never discovered the slightest trace of racial antipathy” on the part of the French Canadians. From 1838 to 1840 Bellingham studied law with Alexander Buchanan*. Admitted to the bar on 23 March 1840, he became a partner of William Walker, then also editor of the reformist Canada Times (Montreal), and he edited the paper for a while. About the same time Bellingham worked with John Neilson* at Quebec, preparing petitions against a union of the Canadas, which was the reply of British and colonial conservatives to the rebellions. A supporter of the reforms proposed by Governor Lord Durham [Lambton*], Bellingham was anxious, by 1841, to run as a reformer against the policies of Governor Lord Sydenham [Thomson*], whom he considered a virtual “despot.” However, still suffering from old business losses, he was duped into desisting by Sydenham, who promised him a government post for doing so. Two years later he became the editor of the Times and Daily Commercial Advertiser, a reform newspaper of which Walker had been the publisher in 1841–42. In 1844, however, he abandoned the reformers to support Governor Sir Charles Theophilus Metcalfe* and resigned his post as editor. Allying himself with Dominick Daly* and Bernard Devlin*, Bellingham tried to lure the Montreal Irish into supporting Metcalfe’s conservative administration. 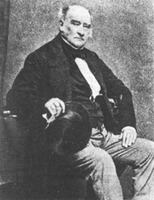 President of the Montreal Repeal Association, which supported Daniel O’Connell’s peaceful, constitutional campaign for the repeal of the union between Great Britain and Ireland, he had moved by 1848 to favour the cause of the radical Young Ireland movement. The Montreal and Bytown Railway went bankrupt in 1859, but not before it had completed a section of line from Carillon to Grenville in Argenteuil County. There Bellingham, having abandoned any hope of success in Montreal, had political ambitions. He had met many of the inhabitants while promoting the Montreal and Bytown, and he was established socially as lieutenant-colonel of the Argenteuil Rangers militia battalion. In 1854 the county returned him to the Legislative Assembly. Because of his role during the rebellions, however, the constituency’s two French Canadian parishes had been solidly opposed to him. 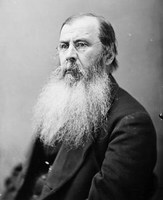 A contemporary, George Kains, was informed “by good authority” that Bellingham was “an unprincipled man” and had “resorted to the most unpardonable means” to get elected, that is by lying and “exciting the passions of the Irish Orangeman.” He was accused of having used Irish navvies to intimidate French Canadian voters. A new election was ordered. Bellingham had taken the precaution to have the recalcitrant parishes excluded from the county in favour of a largely British parish, and he was supported financially by, among others, Delisle and Francis Hincks* of Lower Canada and John Hillyard Cameron*, Sir Allan Napier MacNab*, and John A. Macdonald of Upper Canada. He carried the majority again, but this result was voided on the ground that he had bought votes. A third poll, in May 1856, returned him unopposed. 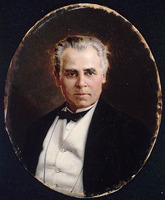 In the assembly Bellingham largely endorsed the governments formed by Macdonald, first with Étienne-Paschal Taché* and then with George-Étienne Cartier*, notably supporting the former, albeit reluctantly, in a crucial vote on financing the Grand Trunk Railway. 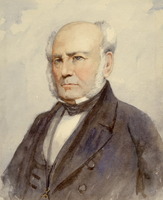 In the elections of 1857–58 he won in Argenteuil by 200 votes over John Joseph Caldwell Abbott, who received strong backing from the influential Hugh Allan*. In March 1860 a parliamentary committee declared that 201 of Bellingham’s ballots had been illegitimate and unseated him in favour of Abbott. 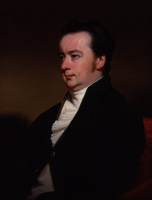 Bellingham felt betrayed, believing that the decision had been arranged by Macdonald at the request of Alexander Tilloch Galt, whom Bellingham had criticized publicly over a lucrative private deal involving the Grand Trunk. The previous year Bellingham had begun farming operations on the Rivière Rouge in the wild lands of northern Argenteuil. He built a road into the area and settled French Canadian, Irish, English, and Scottish families there, but he sold the land in 1869. The creation of a Quebec provincial government with the passage of confederation gave Bellingham a new political opportunity. 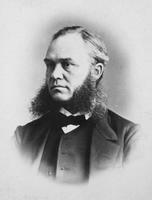 In 1867 he ran successfully for the Legislative Assembly as a Conservative in the single-member riding of Argenteuil. 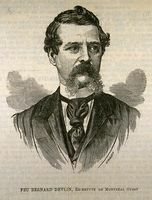 He was elected again in the Conservative victory of 1871. That year the journalist Auguste Achintre* drew a revealing portrait of the enigmatic deputy. What struck Achintre most about Bellingham was his face, “of which one remarks only the three elementary lines: forehead, nose, chin.” He was thin and bony. “Irish by birth, English by education,” he possessed “facility of speech [and] practical ideas.” Convinced that without constitutional government there could be only anarchy and despotism, he sought to reconcile “love of liberty and progress [with] respect for the established order and the cult of the sovereign.” According to Achintre, he was a man of strong education, rare intelligence, and subtle nature, placed principles above party, and defended his convictions tenaciously, even against friends. “In a word, he is an independent,” concluded Achintre, adding that “one cannot question his intentions or doubt his motives.” Many did, however; Bellingham’s readiness to alter his allegiances convinced them that he was a conniving opportunist. Although he had once served as president of the St Patrick’s Society, he was never able entirely to win the confidence of the Irish of Montreal, partly perhaps because he was Protestant, but also because he flaunted his Irishness and theirs, in an attempt to build a political base. Political colleagues, believing him either too opportunistic or too independent even at a time when party lines were less than firmly drawn, were never inspired to trust him with high office. From late 1870 Bellingham promoted a scheme for a railway along the north shore of the St Lawrence and through his riding to link Quebec and Deep River, Ont. 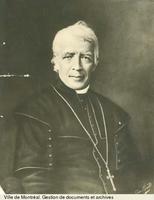 He sought support for it from the influential parish priest of Saint-Jérôme, François-Xavier-Antoine Labelle, but Labelle had closer relations with Hugh Allan, whose competing project, the Montreal Northern Colonization Railway, won out. 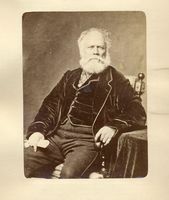 Although Bellingham was eventually brought to support Allan’s road, the experience deepened his distrust of railway men and must have left him with considerable resentment towards the Conservative government at Quebec. 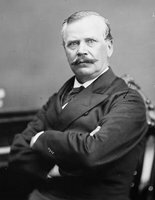 In 1878 Bellingham relinquished his seat in the provincial assembly and returned permanently to Ireland. He had been spending much of every year there since 1874, when he had inherited Castle Bellingham. He kept abreast of Quebec and Canadian politics and, about 1895, dictated his memoirs to a nurse. Two years later he congratulated Félix-Gabriel Marchand on his election as premier of Quebec. He expressed great admiration for Sir Wilfrid Laurier* and the hope that the Liberals would rescue the country from the corruption and intimidation imposed on it by Macdonald and the “clique of protectionists” who had “bought” Macdonald. Bellingham’s wife had died in 1887, but he lived until the turn of the century and his 92nd year. 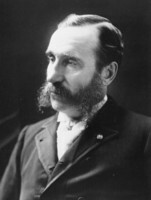 Sydney Robert Bellingham is the author of Reasons why British Conservatives voted against the Boucherville ministry (Rouses Point, N.Y., 1875) and Some personal recollections of the rebellion of 1837 in Canada (Dublin, 1902). His memoirs, which remain in manuscript form, are held at NA, MG 24, B25. ANQ-Q, CE1-61, 28 oct. 1831; P-124/1, nos.123–26; P-174/1. AUM, P 58, U, S. R. Bellingham à A.-M. Delisle, 24–26 juill., 19 août, 7, 9, 13–14 sept., 21–22 oct. 1854; 12 mars 1855; 16–27 mars 1856. NA, MG 24, A40: 8261–63; 132: 4420–23, 4456–59, 5045–58, 5515–17, 5528–29, 5534, 5542–44, 5888–89, 5946–48, 5953–56, 5959–60, 5971–72, 5988–93; MG 30, D1, 4: 286–300; RG 68, General index, 1651–1841: 385, 391. “The annexation movement, 1849–50,” ed. A. G. Penny, CHR, 5 (1924): 236–61. Can., Prov. of, Statutes, 1852–53, c.103. Débats de l’Assemblée législative (M. Hamelin). La Presse, 13 mars 1900. Times and Daily Commercial Advertiser (Montreal), 1842–44. Audet, “Les législateurs du Bas-Canada.” Borthwick, Hist. and biog. gazetteer. CPC. RPQ. Patricia Brown Peter, “A question of loyalty and self-interest: Irish Montrealers and the struggle for responsible government in Canada, 1840 to 1848” (ma thesis, Concordia Univ., Montreal, 1981). Davin, Irishman in Canada, 331. M. Hamelin, Premières années du parlementarisme québécois. Elinor Kyte Senior, Redcoats and Patriotes: the rebellions in Lower Canada, 1837–38 (Stittsville, Ont., 1985). Jacques Monet, The last cannon shot: a study of French-Canadian nationalism, 1837–1850 (Toronto, 1969; repr. Toronto and Buffalo, N.Y., 1976). Robert C. Daley, “BELLINGHAM, SYDNEY ROBERT,” in Dictionary of Canadian Biography, vol. 12, University of Toronto/Université Laval, 2003–, accessed April 26, 2019, http://www.biographi.ca/en/bio/bellingham_sydney_robert_12E.html.